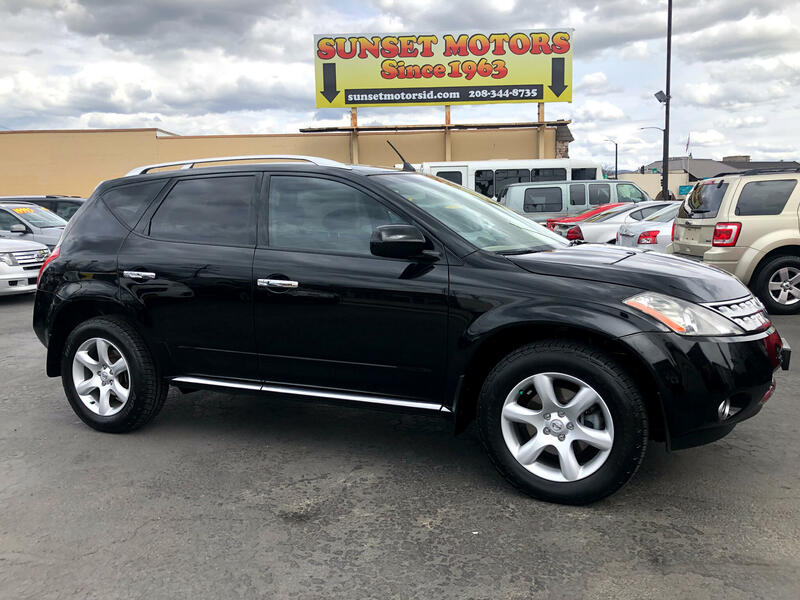 Available with front- or all-wheel drive, the Nissan Murano is powered by a 3.5-liter V6 similar to the one found in the Altima and Maxima. It makes 245 horsepower and 246 pound-feet of torque. The sole transmission choice is a continuously variable transmission (CVT). Benefits of the CVT include smoother operation and greater fuel-efficiency than a traditional automatic. This Nissan SUV comes with a comprehensive list of standard safety features, including four-wheel antilock disc brakes (supplemented by BrakeAssist and Electronic Brakeforce Distribution), front seat-mounted side airbags, head-protecting side curtain airbags for all outboard occupants and active head restraints. A stability control system (dubbed Vehicle Dynamic Control) is optional on the SL and SE. In government crash tests, the 2006 Nissan Murano earned four stars (out of five) for driver and front-passenger protection in frontal impacts. In side-impact testing, it earned five stars for front-occupant protection and four stars for the rear. Testing conducted by the IIHS returned a top rating of "Good" for frontal-offset impacts. Immediately noticeable when you climb aboard is the distinctive "floating dash" design, complemented by the real aluminum trim liberally sprinkled around the cabin. The gauges glow orange and are easy to read. Split-folding rear seats are pretty standard these days, but in the Nissan Murano, they have a reclining feature and a remote flip-down function, allowing the seats to be easily released from the rear cargo area. For storage, there's a two-tiered lockable center console box roomy enough to hold a laptop computer, door pockets with a flip-out function, as well as assorted nooks and crannies for items such as cell phones, sunglasses and coins. With the rear seats down, the cargo bay offers a healthy 81.6 cubic feet of space.